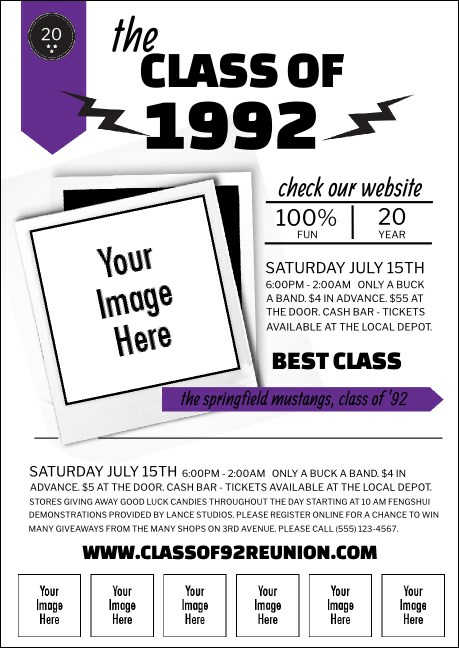 Amp up your former classmates for some good old fashioned nostalgia when you print Class Reunion Mascot Purple Postcards and send them out in advance. Each Postcard features plenty of room for seven personal image uploads on a classic purple and white background design that includes twenty-three lines of text. Old school advertising is a cinch at TicketPrinting.com!